Food Lion Hunger Relief Day continues to be one of the most popular days at the Fair. It could be because donating four cans of food gets you into the Fair free that day. It might also be the reward of being part of one of the largest single-day food drives in the state. We hope it’s a little of both. Last year, fairgoers donated 222,956 pounds of food to the Food Bank of Central and Eastern North Carolina, but on Thursday, Oct. 21, we hope to collect even more food. 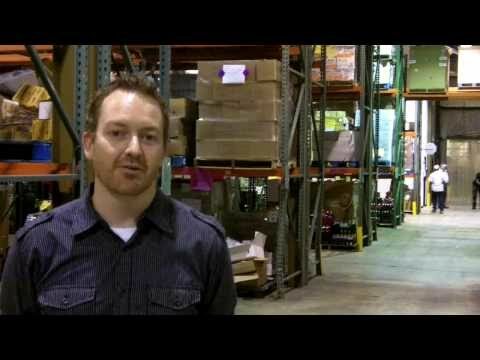 We recently visited the Food Bank’s Raleigh location to take a tour and see how the staff prepares for Food Lion Hunger Relief Day. Note: If video doesn’t appear, try refreshing browser. The Food Bank of Central and Eastern North Carolina provides food for 545,000 people in 34 counties across 19,000 square miles. That’s a service area larger than Switzerland. In 2009, the food bank distributed more than 41 million pounds of food – equivalent to 21,000 meals every hour. Because of the growing need in our area, the Food Bank is asking fairgoers to help “stuff the warehouse” by bringing an extra canned good with you to the Fair. Begin stocking up on food items now by visiting your local Food Lion. On Thursday, Oct. 21, bring at least four food items with you to the N.C. State Fair. Volunteers and staff from the Food Bank, Food Lion and the N.C. Department of Agriculture and Consumer Services will be outside the gates to exchange your donated food for tickets. Canned goods, plastic jars and boxed items are welcome. Please NO glass containers. Glass tends to break in the bins and can cause damage to other items. “Celebrate What’s Great” at the N.C. State Fair. After the Fair, consider volunteering with the Food Bank of Central and Eastern North Carolina. canned food day, Celebrate What's Great, discounted admission, Food Bank of Central and Eastern NC, food drive, Food Lion, Food Lion Hunger Relief Day, n.c. state fair, NCDACS. Bookmark.